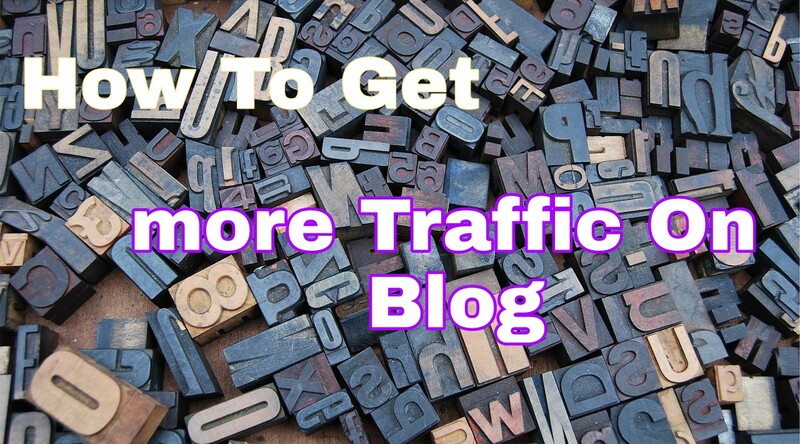 How To Drive Traffic on Your Blog? How to imrove blog traffic Yes After setting up the blog, after all the Blogger, Website Setup, the website owner and the shopkeeper should visit the shopkeeper after opening the shop. Any customer from this visitor can also be a customer. Website. This is the most asked and searched on Topic, Social Media and Forum. This is a very hot topic of Blogging Journey. Already, many bloggers and SEO Service Provider Company have already written about this topic. But the newer bloggers do not use those topics, they wait for some magic or incident that break the traffic record at their blog overnight. 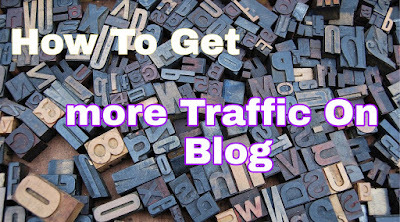 How to increase traffic on blogs Yes, it is absolutely right. You have made your blog but if there are no traffic on it, then not any work as long as traffic is not coming to Blog, your earnings will not start. The best way to increase traffic on Blog is by Quality Post and another on Trending Topic at Post Mean Current Time which is Hot Topic. Example: The closure of old notes of 1000 and 500 at the time of the cancellation, as well as the new note, it was the trending topic of that time. Trending Topic should also be related to the Niche of your Blog. If Tending Topic is off your Blog Niche , Quality Traffic will not come to your blog. What happens is Quality Traffic or Quality Users? example. If you have a problem with your teeth, then you show it with the dentist, if you have a problem in the eye, then it is more comfortable to show with the ENT specialist as it is our thinking that the specialist can easily understand our problem as well as guide you well. . Finally what is Doctor is Specialist, if he recommends something, then we must follow him. This is exactly what happens in Blogging Journey. If you are a Niche Specialist, then visitors will follow you and they will be your Daily Visitors. Also, if you recommend something to them then they will do it. The company or the product that you recommend, the company will pay you. Please send short answer to the problem of users on the Forum related to Blog by Niche, along with share the link of your post. Your post must have at least 600 words. Calculation of Social Media (FACEBOOK). I'll share Minimum 1000 shares with my different Facebook ID and tag 100 different friends and other in every share. 10% of Total React on Post, means 10,000 Reaction comes from which 8 to 10% of Reaction by clicking on My Post means 800 to 1000 Visitor Same Day Of Posting on a Post.